GOKPOP | Exclusive K-News in Malaysia & Singapore: Movie The Battleship Island Starring by So Ji Sub, Hwang Jung Min, Song Joong Ki will hit Malaysia's cinemas this 17 Aug! Movie The Battleship Island Starring by So Ji Sub, Hwang Jung Min, Song Joong Ki will hit Malaysia's cinemas this 17 Aug! 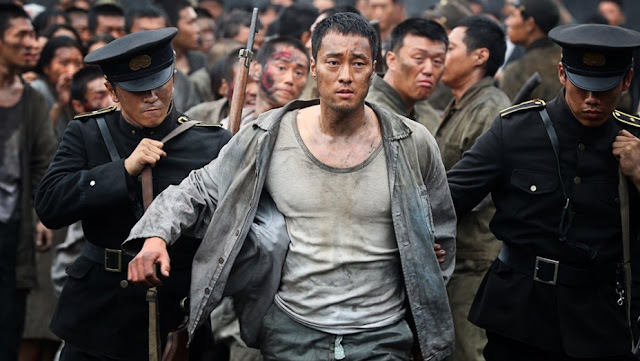 Golden Screen Cinema (GSC) recently shared a teaser of the epic action blockbuster movie 'The Battleship Island' which features the actors such as Hwang Jung Min, So Ji Sub, Song Joong Ki, Lee Jung Hyun and Kim Soo Ahn. Also, announced that the movie will be screened starting from 17 August 2017! 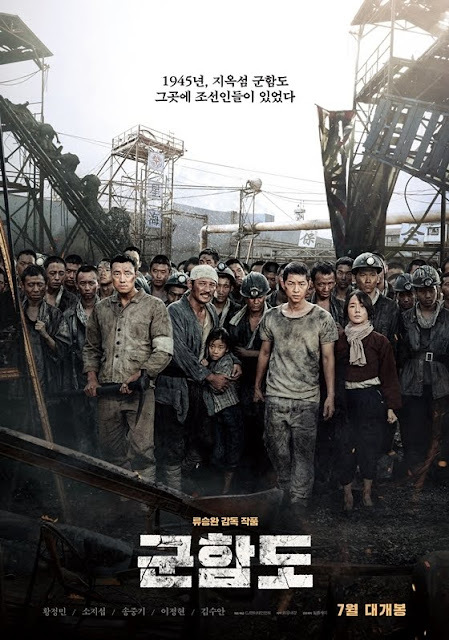 Movie Battleship Island is about roughly 400 Korean people who attempt to escape from the forceful coal mining at Battleship Island during the Japanese colonial era. Hwang Jung Min (starring as Lee Kang-Ok) who is the bandmaster at a Hotel and decides to go Japan to protect his daughter. 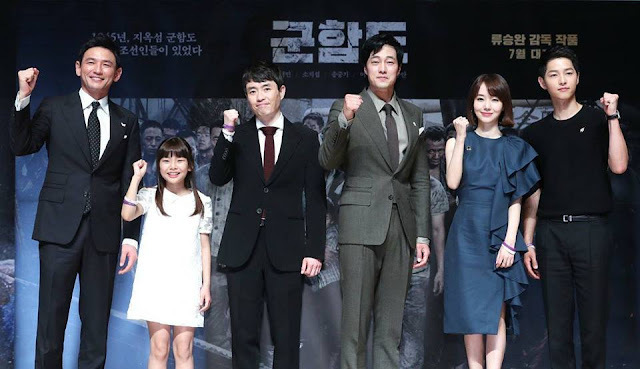 So Ji-Sub (starring as Choi Chil Sung), the top fighter in KyungSung (current Seoul) who has a warm heart but created troubles on the island. Song Joong Ki (starring as Park Moo Young), who belongs to the Korean Independence group sneaks into the Battleship Island to rescue a member of the independence group. 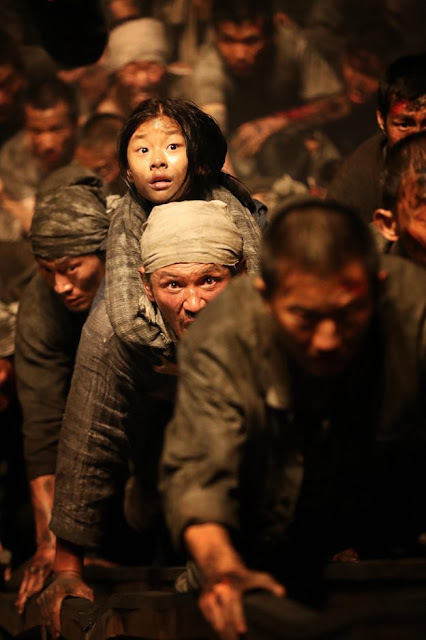 This historical action movie, The Battleship Island has received lots of attentions since their filming as the movie talks about the story during the Japanese colonial era also involved the top main leads. Since the announcement of its premiere in Korea this July, Malaysian fans have been waiting for this movie to arrive Malaysia and thank you GSC for bringing this great movie to the audience allowing them to watch this educational movie yet able to watch their favourite OPPAs on the big screen! Mark your calendar and get ready your tissue to watch The Battleship Island (군합도) this August!